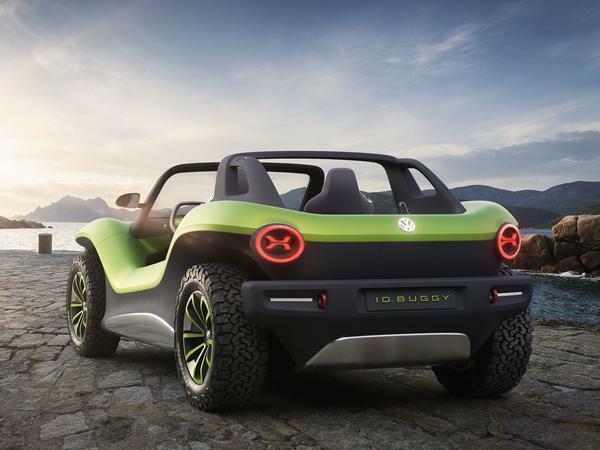 So often are quirky versions of production cars shown at motor shows the idealistic dreams of designers, that it'd be easy to label Volkswagen's just-revealed ID Buggy as a case of pie in the sky. 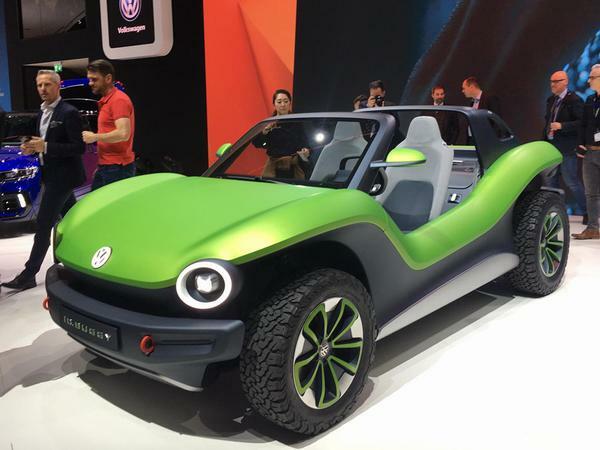 But, rather excitingly, this EV beach buggy concept is one that could actually go on sale according to its maker. How cool is that? 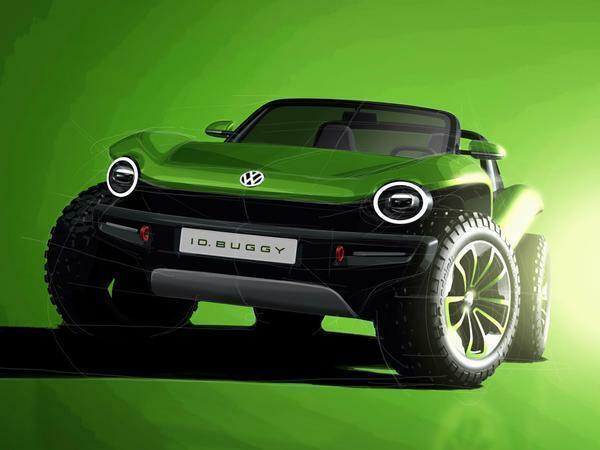 Ok, so Volkswagen has no plans to officially produce the model itself, but instead has categorically said that the underlying MEB platform - a skateboard chassis made up of the car's lithium-ion batteries and motor - would be available for purchase sans body, so an independent firm could build said buggy on top of it. This is the process that created the original Beetle-based buggy, which was first conceived as the Meyers Manx in 1964, after all. 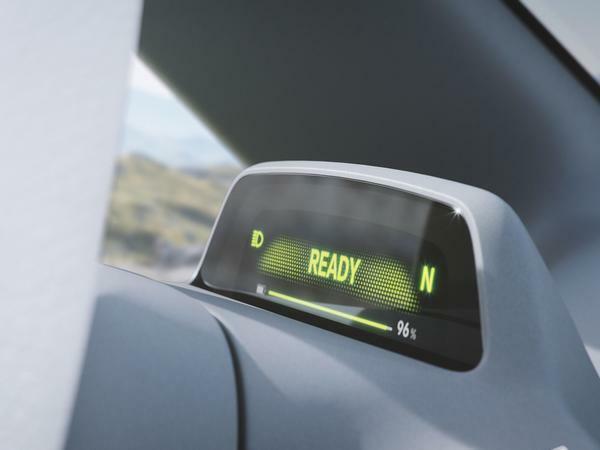 Volkswagen's Geneva concept is therefore more of a pitch of what it believes possible - and appropriate - for such a vehicle. The MEB platform is modular, so the ID Buggy can come in rear or all-wheel drive, with the latter possible when a prop shaft is added. 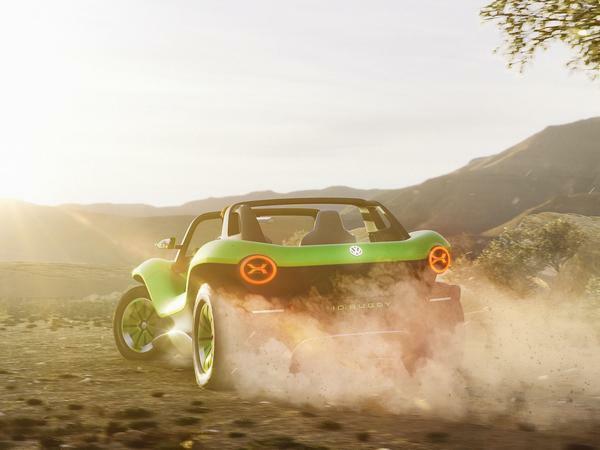 With this, the ID Buggy and its 204hp and 236lb ft of instantaneous torque can accelerate from zero to 62mph in 7.2 seconds. Not bad. Range is rated at 155 miles and it takes half an hour of plug time to get 80 per cent of that. 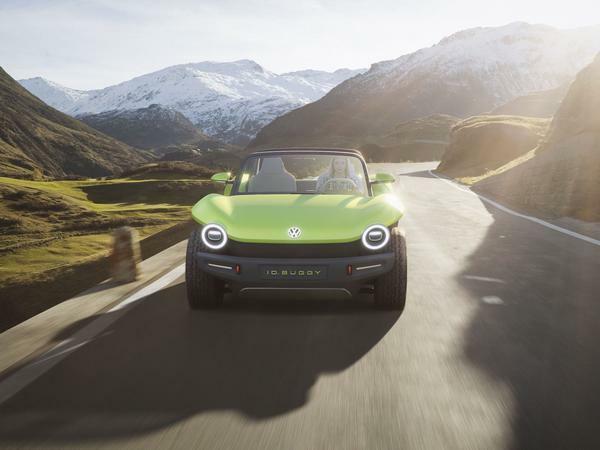 This being a buggy, Volkswagen's not bothered to equip the car with a roof or doors - although there is a roll-over hoop for noggin-protection - and has instead given the car a simple, tub-like body that takes inspiration from the ID hatch and also the Manx. 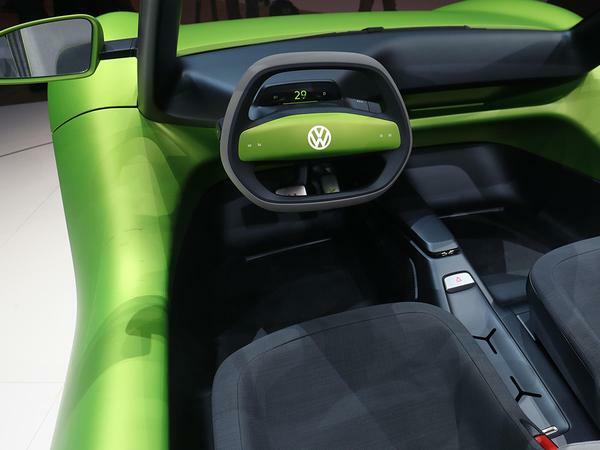 And while the concept car is a two-seater, VW reckons it'd be easy to produce a four-seat version, emphasising just how flexible these underpinnings could be. 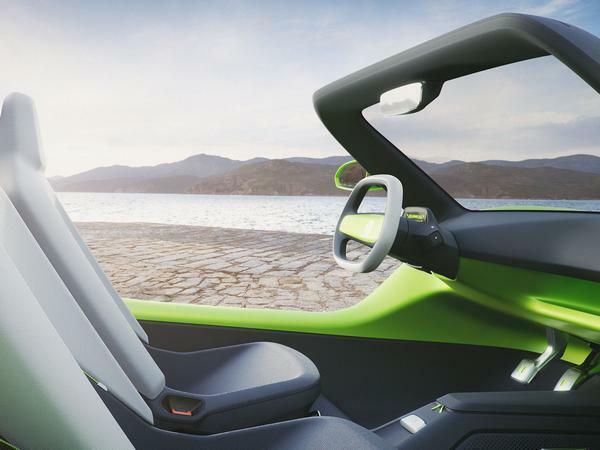 The concept is a car for the 2020s, so naturally the ID Buggy has digital infotainment inside - hopefully with some form of waterproofing - with phone connectivity and the usual media functions. VW's decision to include this is probably to emphasise that its MEB base can extend beyond the bits that underpin and power a car. Will that be enough to tempt an aftermarket firm into producing a buggy or something similar? Hopefully. The beach fronts of California must be crying out for something like this. 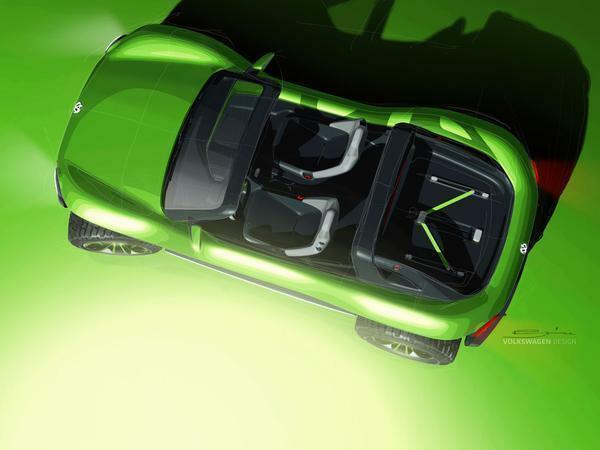 Just what everyone needs ... another niche model in a niche nobody needs or wants..bravo VW get back to cooking the books! Ev platforms like the MEB are going to enable a much wider variety of vehicles and make them more accessible and cheaper. Cars that wouldnt have been made before will get made. Love to see a modern take on the Karmann Ghia. I think the 80% time to charge the battery also needs to be regulated to explain how long that last 20% takes. I suspect that this takes a long time if the cells need to balance and if they do then they need doing quite often for optimum battery health. Ideally the ecu should log the type of charges so you know how they have been looked after in 2nd hand market. Will the second hand market be the same for elec or will it be like mobile phones and laptops?